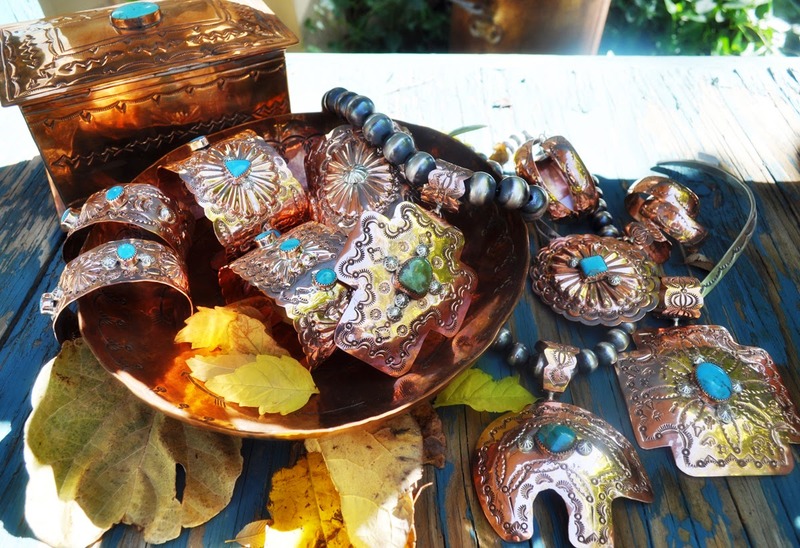 Gorgeous hand made copper cuffs with Kingman Turquoise & Sleeping Beauty, large copper pendants, and unique stamped copper earrings are in this week! Each piece is individually made by New Mexico silversmith love them all! Now is the time to start making your Christmas Wish these are very special!